Airport : Athens International Airport “Eleftherios Venizelos” began operation on 29 March 2001 and is the primary civilian airport that serves the city of Athens. The airport serves just under 13 million passengers annually and currently has two terminals: the Main Terminal, and the Satellite Terminal accessible by a foot-tunnel from the Main Terminal. 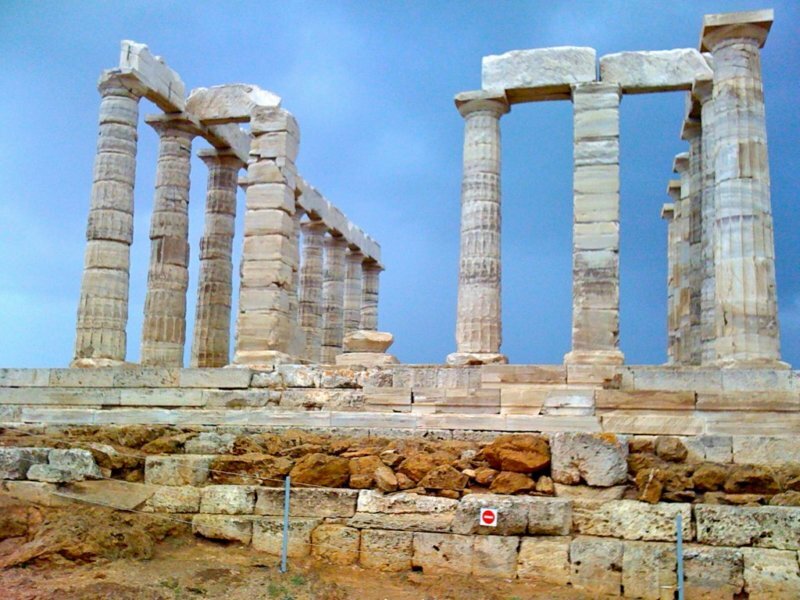 Climate : The climate in Greece is predominantly Mediterranean. However, due to the country’s unique Geography of Greece has a remarkable range of Microclimate and local variations. To the west of Pindus mountain range, the climate is generally wetter and has some maritime features. The east of the Pindus mountain range is generally drier and windier in summer. The highest peak is Mount Olympus at 9,570 feet (2,916.9 m) tall. The north areas of Greece have a transitional climate between the continental and the Mediterranean climate. There are mountainous areas that have an alpine climate. Communication : Greeks prefer face-to-face meetings rather than doing business by telephone or in writing, which are seen as too impersonal. It takes time to develop relationships: this can be done in the office, over extended lunches, dinners, and social outings. Never say or do anything that can be construed as challenging the honour or integrity of a business colleague. Although business is relaxed, it is also serious. Acting informal before a relationship has developed is considered discourteous. Cuisine: Greek cuisine is a Mediterranean Cuisine, sharing numerous characteristics with Middle Eastern cuisines of the region. Contemporary Greece cookery makes wide use of olive oil, vegetables and herbs, grains and bread, wine, fish, and various meats, including lamp and mutton, poultry, rabbit and pork. Also important are olive, cheese, eggplant (aubergine), zucchini (courgette), and yogurt . Greek desserts are characterized by the dominant use of nuts and honey. Some dishes use Phyllo pastry.Mezes is a collective name for a variety of small dishes, typically served with wines or anise-flavored liqueurs as Ouzo orTsipouro. Orektika is the formal name for appetizers and is often used as a reference to eating a first course of a cuisine other than Greek cuisine. In commercial centers, airports, all cities and larger towns, and most tourist centers, you will find at least a couple of machines accepting a wide range of cards. Smaller towns will often have only one ATM — and it may not accept your card. Commercial Bank (Emboriki Trapeza) services PLUS and Visa; Credit Bank (Trapeza Pisteos) and AlphaBank accept Visa and American Express; National Bank (Ethiniki Trapeza) takes Cirrus and MasterCard/Access. Note: Greek ATMs accept only a four-digit PIN — you must change yours before you go. And since Greek ATMs use only numeric PINs (personal identification numbers), before you set off for Greece be sure you know how to convert letters to numerals as the alphabet will be in Greek. In Greece, Visa and MasterCard are the most widely accepted cards. Diners Club is less widely accepted. And American Express is still less frequently accepted because it charges a higher commission and is more protective of the cardholder in disagreements. Easter in Greece The Feast of all Feasts.Considered the most important holiday on Greek calendar and one of the richest in folklore, the celebration of Orthodox Easter (Pascha) is unique throughout Greece. From Crete to Macedonia, Easter customs become a herald of the spirit’s and nature’s rebirth, while Easter celebrations constitute a vivid aspect of the folk culture, rich in meaning and symbolism. Easter is a moveable holiday. Its celebration falls on the first Sunday after the full moon of the spring equinox. All over Greece, a plethora of customs and traditions are observed during the week prior to Easter, the “Holy Week”. • In Greece, people celebrate the “name day” of the saint that bears their name rather than their own birthday. • There are over 4000 traditional dances that come from all regions of Greece. There are also Pan-Hellenic dances, which have been adopted throughout the Greek world. • Greeks do not wave with an open hand. It is considered an insult to show the palm of the hand with the fingers extended. Electricity :The PPC S.A. (ΔΕΗ) is the biggest electricity power in Greece.The voltage in Greece is 220 volts. Guetting around : Greece is an easy place to travel around thanks to a comprehensive public transport system.Buses are the mainstay of land transport, with a network that reaches out to the smallest villages. Trains are a good alternative, where available. To most visitors, though, travelling in Greece means island-hopping on the multitude of ferries that crisscross the Adriatic and the Aegean. If you’re in a hurry, Greece also has an extensive domestic air network. Languages : Greek ( ελληνικά “Greek” and ελληνική γλώσσα “Greek language”) is an independent branch of the Indo – European Languages family of languages. Greek roots are often used to coin new words for other languages; Greek and Latin are the predominant sources of scientific vocabulary. The most of the greeks are speaking english and french. Post : For letters, greeting cards, invoices, bills and other items classified as letter mail which you wish to be delivered fast, you can use Hellenic Post (ELTA) . Same price for the stamps in all europe. Population : The official statistical body of Greece is the Hellenic Statistical Authority (ELSTAT), according to which Greece’s total population in 2011 was 10,815,197. Greek society is fairly homogenous, with 94 percent of the population being Ethnic Greeks who speak the Greek language. Subsequently, the average Greek family is smaller and older than in previous generations. Political structure : Greece is a Parliament Republic. The nominal Head of State is the President of Greece, who is elected by Hellenic Parliament for a five-year term. Legislative powers are exercised by a 300-member elective Unicameral Parliament. Statutes passed by the Parliament are promulgated by the President of the Republic. Elections in Greece are held every four years, but the President of the Republic is obliged to dissolve the Parliament earlier on the proposal of the Cabinet, in view of dealing with a national issue of exceptional importance. Religion : The Greek Constitution recognizes the Greek Orthodox Church as the “prevailing” faith of the country, while guaranteeing freedom of religious belief for all. The Greek government does not keep statistics on religious groups and censuses do not ask for religious affiliation. According to the U.S. State Department, an estimated 97% of Greek citizens identify themselves as Orthodox Church, belonging to the Orthodox Church. Safety : To be fair, Greece is no different than any other southern European country in terms of safety. Foreign visitors don’t have to worry about being targeted because of their ethnicity. But petty crime, theft, burglaries, and robberies occur with much more frequency today than last decade, so visitors should exercise common sense precautions the same way they do when they visit any other European country. Shopping : Greece is the ideal destination for buying goods, offering a wide range of products that will satisfy every taste and desire. Here you will find all the European brand-names, the renowned multinational chains, as well as many Greek products – either in clothing-shoes or popular art or décor. The price-tags on these products vary, so as to satisfy the wallet of every visitor. Swimming : Millions of visitors flood the shores of Greece every day to enjoy swimming, sunbathing, and other seaside activities. The country’s topography puts everyone within a short drive distance from the sea, but most choose to stay right by the sea. The Greek coast is filled with spectacular beaches that are some of the cleanest in Europe. In fact, the sea and the sun are one of the major reasons so many visitors choose Greece over other destinations. During the months of July and August the sun shines constantly and cloudy or rainy days are very rare. The sand varies in its quality and quantity from place to place, as is the organization of the beaches. The organized beaches that require an entry fee are usually located around major cities, and especially around Athens. Time zone : Greece is in the Eastern European Time Zone. Travel documents : Passports. For EU citizens who travel to Greece, no passport is required, just the identity card with latin characters is enough. For the non EU citizens, a valid passport is necessary to enter Greece. In case you lose your passport in Greece, the local police and the embassy of your home country must be contacted. It is recommended to have a photocopy of your passport in order to get the process of replacement quicker. Visas All citizens of foreign countries, except for the countries of the European Union, the USA, Canada, Australia and New Zealand, need a visa to enter Greece. For more information, contact the Greek National Tourist Offices in your country or the Embassy & Consulate of your country in Greece. IDS. A passport can serve like an ID. Apart from the official identity card of your country, other form of identification is the driving licence. Animals’ documents. Animals (pets) require a valid health certificate to enter Greece. Before you leave for your trip to Greece you should call your mobile carrier to let them know you will be traveling internationally. In many cases, making calls from abroad is blocked and all it takes is a phone call to have this ability activated. Water : A glass of water is traditionally served with any drink you order; one glass for each drink, especially with any form of coffee. Sometimes you even get a glass of water first and then get asked what you want to drink! Tap water in most places a traveler would go today is drinkable; if in doubt, ask your hotel. But often though technically drinkable it doesn’t taste very good, especially on some small islands (as it is imported in and heavily chlorinated), and many travelers, like many Greeks, prefer to stick to bottled water. By law, water prices in shops must remain within acceptable limits (50 eurocents for 1/2 litre), making it much cheaper than in Anglosphere nations.